Happy Arbor Day! 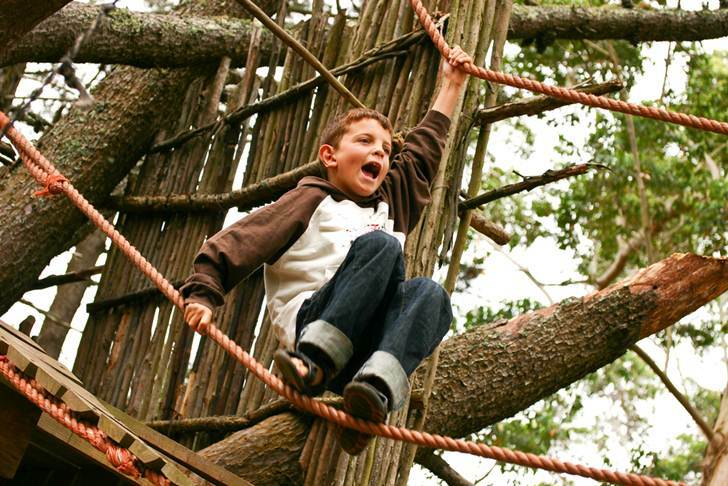 Get your kids outside to play in the trees! Research shows that when nature elements are incorporated into playgrounds kids have more fun, are more active and utilize more motor skills. Researchers working at The University of Tennessee, Knoxville examined how children at UT’s Early Learning Center used traditional plastic-based, brightly colored playground equipment. They logged the amount of time kids spent playing on the plastic slide and other equipment along with how much time kids sat on an adjoining porch area in order to get out of the sun. Then the Early Learning Center staff begin renovations of the playground. A natural-minded gazebo, dwarf trees, a creek, rocks and flowers were added to the play area. Slides were built into nearby hills. Logs and tree stumps were also added, all of which resulted in a more nature-based playscape for the kids. After the renovations, researchers observed the kids again to see if there were changes in the kids physical activity levels. Dawn Coe, assistant professor in the Department of Kinesiology, Recreation, and Sport Studies at UT noted that there were many positive changes, saying, “Natural playgrounds have been popping up around the country but there was nothing conclusive on if they work.” Coe added that now they know natural play areas work better for kids. Image by tcoulston via sxc. Kids became more active overall. Kids appeared to use their imagination more while playing. Kids more than doubled the time they spent playing overall, spending time jumping off logs, watering the plants around the creek, and more. Kids spent more time engaged in aerobic and bone-and muscle-strengthening activities. Kids were less sedentary and spent a lot less time resting on the porch area after the renovation. 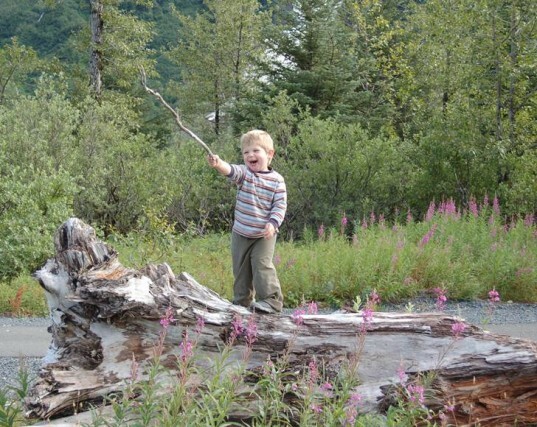 This is not the first study to show that natural areas hold benefits for kids. Research shows that kids need more trees, more time playing in the grass and other nature adventures to stay healthy — not parks comprised of plastic. Currently Coe is preparing a manuscript of the new nature play study to submit for publication, but this is news you can use now. Instead of taking your kids to a dumbed down, too safe and boring park, why not hit the trails? Get out into nature. Try Geocaching. Head to the woods, the lake or the beach and help your kids get active and stay healthy.